The KDE Project released version 5.8 of the Plasma desktop environment this month. This is the KDE team’s first long-term support release (LTS). That means you can expect support even after the next several versions hit the web. Now for the catch: most distributions don’t yet offer 5.8. Some won’t have the latest features for months. But there is one option out there whose primary purpose is providing a pure KDE experience The Current State Of the New Linux Desktop Environment, Plasma 5 The Current State Of the New Linux Desktop Environment, Plasma 5 After years of polishing the 4.x series, KDE is once again leading the innovation race among Linux desktop environments with its latest product: Plasma 5. Read More and delivering updates as quickly as possible. So if you want to stay ahead of the curve, consider KDE neon [sic]. 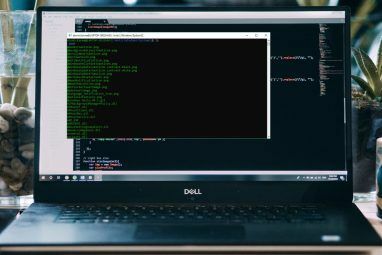 KDE neon is what you get when you combine an Ubuntu long-term release 6 Big Reasons to Upgrade to Ubuntu 16.04 6 Big Reasons to Upgrade to Ubuntu 16.04 A new LTS release of Ubuntu means security and stability. Whether you're upgrading or switching from Windows, let's take a look at what's new in Ubuntu 16.04 Xenial Xerus. Read More with the latest software from the KDE community. KDE neon isn’t a Linux distribution per se. You can download an image to install as you would any distro, but it’s more similar to an Ubuntu flavor. The project began as a way to try the latest versions of KDE software in Kubuntu. Now the developers — one of which was Kubuntu’s founder — have turned KDE neon into a standalone experience. KDE neon is not an official distribution from the KDE Project. That doesn’t exist. The KDE community continues to produce code for any distros to package and distribute as they wish Guide to KDE: The Other Linux Desktop Guide to KDE: The Other Linux Desktop This guide is meant to introduce the so-called "power users" of computers with an introduction to KDE, including the option (and freedom) that it provides. Read More . Nor is KDE neon the only way to get a pure KDE experience. Kubuntu and Chakra Linux both provide that. KDE neon is also easier to explain to absolute Linux newcomers. Rather than distinguishing between Linux, KDE, and Kubuntu, just tell them you use KDE, which they can try out at neon.kde.org. There are two versions available for download. The User Edition is for everyday users who want to enjoy the latest KDE releases. The Developer Edition provides pre-release software on the day developers repositories get updated. This experience is less stable, but it insures that you’re tinkering with the latest code. What’s It Like Using KDE Neon? KDE neon starts you off with the essentials. You have a web browser (Firefox), a text editor (KWrite), a video player (VLC), and not much else. This isn’t a desktop that will create spreadsheets and organize your music library out of the box. For some people, that’s an inconvenience. Personally, I prefer this approach. It saves me from having to uninstall all the software that I don’t want. You install additional software through Discover, the same package manager you have on Kubuntu. 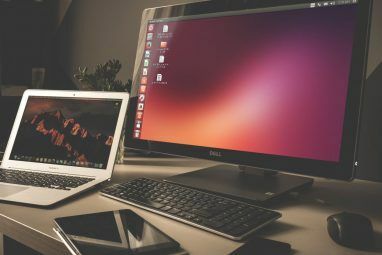 This empowers you to turn your computer into whatever you want it to be The Best Linux Software and Apps The Best Linux Software and Apps Whether you're new to Linux or you're a seasoned user, here are the best Linux software and apps you should be using today. Read More . If you don’t like the app, you can use APT via the command line instead. KDE isn’t my primary desktop environment, but I don’t notice any included software made specifically for KDE neon. This is a vanilla experience, not unlike using Kubuntu. Technically, the two aren’t that different. That said, there are a few key distinctions. Kubuntu provides LibreOffice and tons of other software to help you hit the ground running. Plus it sees a new release every six months. KDE neon is based on Ubuntu LTS releases, which come every two years. 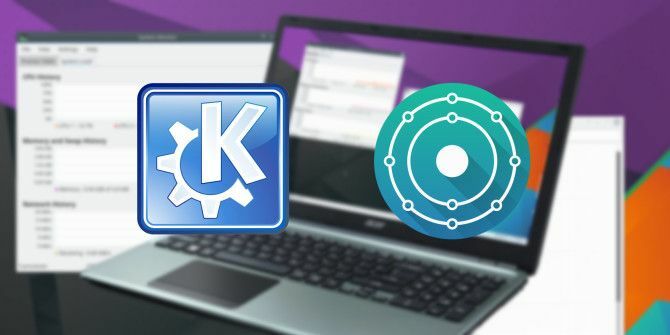 The project keeps KDE software up-to-date, but other applications may lag behind the versions in Kubuntu’s non-LTS releases Why You Need to Upgrade Ubuntu Every 9 Months Why You Need to Upgrade Ubuntu Every 9 Months It's that time again, when Canonical announce that support for one of its standard Ubuntu builds has come to an end. But what does this mean to the end user? Read More . In short, if you’ve used Kubuntu, you have a good idea what it’s like using KDE neon. The latter simply gets certain updates to you faster, such as Plasma Desktop 5.8. It’s the easiest way to stay on top of what the KDE community has to offer. 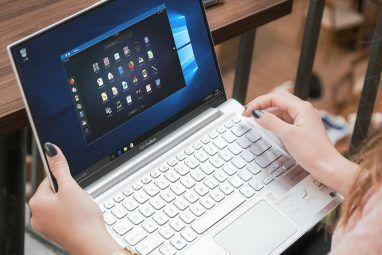 What’s New in Plasma Desktop 5.8? Version 5.8 looks the same in many screenshots, but that’s because you’ve already missed the first big change. A new login screen has arrived. This provides a smooth KDE experience from the moment your computer boots. There’s also a new lockscreen that you will likely see far more often, which you can customize with an animated live wallpaper. Once you’re logged in, you will see a few improved and more memory efficient applets. When you right click supported media players in the panel, you now have access to media controls. Anyone fluent in a right-to-left language, such as Arabic, will be happy to see improved support in panels, dialogs, and other parts of the interface. Power users will appreciate the simplified global shortcut configuration. Even more appealing may be the ability to open the application menu using the Meta (Windows) key. If you really want to dive into the weeds, you can view the complete changelog. Are You in Love With KDE? Then you’re the kind of person who should consider KDE neon. This project is aimed squarely at people who can’t get enough of the Plasma desktop. Specifically, it’s great if you get excited every time a new KDE Software Compilation is released and hate waiting the weeks or months before your distro gets updates. KDE neon delivers the goods ASAP. Have you used KDE neon? Do you prefer the software experience in Kubuntu or the Arch-based experience in Chakra? Are you trying out KDE for the first time, or have been using it for decades? Either way, I’d love to hear your thoughts on KDE and KDE neon! Explore more about: KDE, Linux. Great article and it's still relevant almost three years later. KDE Neon is just awesome and won't disappoint. The stable Ubuntu LTS base has proven to be a good fit for a 'rolling' Plasma desktop. I have used KDE Neon since it was released as a standalone (non) distribution. Even though it is meant to be a KDE showcase it has served me well as a production operating system. It is stable, polished, and keeps getting better.